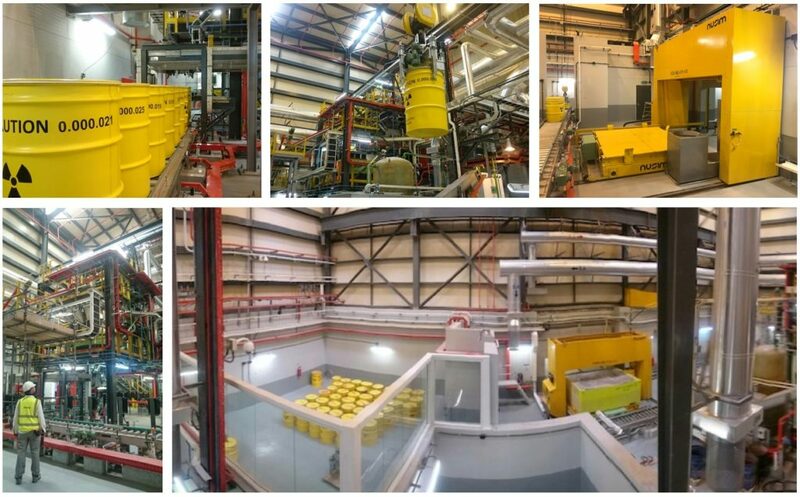 NEWS | Octuber 10th 2019 | NUSIM, S.A. finishes the commissioning of the world's first plant dedicated to NORM Stabilization/Solidification (Abu Dhabi). NUSIM, S.A. has finished with the commissioning of the Stabilization/Solidification plant for radioactive NORM ashes. This facility is part of the turnkey project developed by INTECSA Industrial. The scope of work of this turnkey contract includes the installation of the handling, treatment and disposal system for NORM waste. These natural materials reach a radioactivity level higher than the limits established by competent organisms so it shall be treated like radioactive waste. This waste material is generated during drilling operations at the oil and gas fields exploitation of Abu Dhabi National Oil Company (ADNOC) affiliated companies in the United Arab Emirates. The plant, engineered, manufactured and supplied by NUSIM ,S.A. gets the waste in form of ashes or scale. This waste is treated during 3 steps. In the first step, the waste is stabilized by mixing with chemical products in order to avoid the future leaching. During the second step, the stabilized waste is mixed with cement and poured inside 220 litres metallic drums. In the last step, these drums are introduced inside square container and blocked with non contaminated mortar. After curing time, these blocks are sent to landfill for the disposal. The commissioning has included material movement and the first batches of production so the start-up has also started. In this manner, NUSIM works cover from engineering, to start-up of both mechanical and electrical equipment.